You receive a notification on your iPhone stating that your device isn’t backed up and you want to get rid of it. You get reminded about it almost every day. 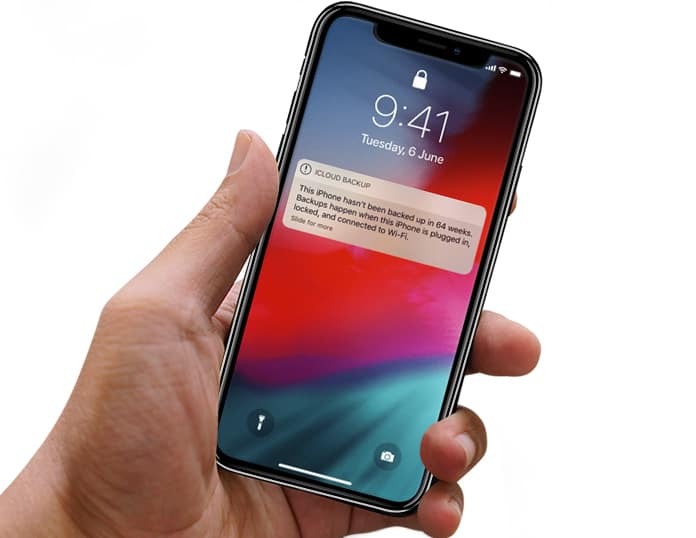 In this post, we explain what “iPhone Not Backed Up” message implies as well as what steps you can take to eliminate it. The message “iPhone Not Backed Up” implies that you haven’t backed up your data to iCloud since long. 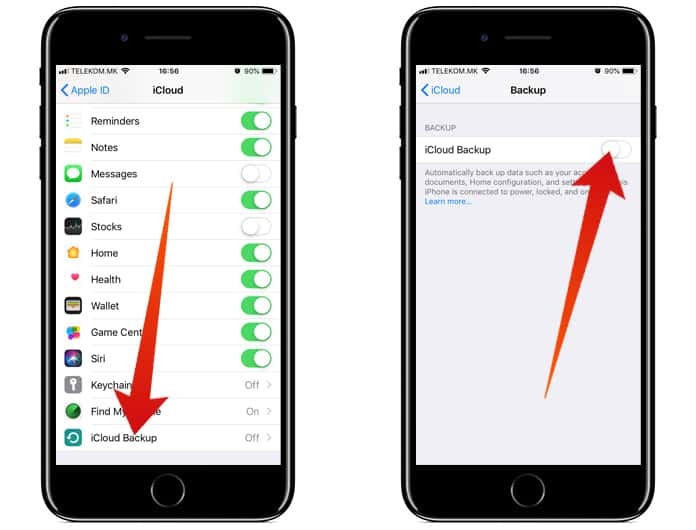 iCloud backups are created anytime when the device is locked, connected to power or engaged in a WiFi connection. The notification that your iPhone isn’t backing up displays on the screen usually when you’re run out of space to store contents on iCloud. Below we discuss how to remove “iPhone Not Backed Up” message and how to use iTunes & iCloud to backup your handset’s contents. There are some ways to take out the “iPhone Not Backed Up” message completely. Firstly, you can do an iCloud backup. There’s an excellent article on Unlockboot explaining how to backup iPhone to iCloud. If you run into issues, feel free to reach out to us and we’ll help you perform a backup. Another thing you can try is to launch Settings > tap “iPhone Not Backed Up” message, and tap “OK”, This is a temporary way to remove the message, but the notification comes back sooner or later. It mostly appears the next time the iPhone’s screen is locked. If you don’t want to create a backup and want the message to go away permanently, launch Settings, tap your name on the screen’s top, tap “iCloud” and then “iCloud Backup” and switch off the toggle besides iCloud Backup. Lastly, tap OK when the prompt for confirmation shows on the screen. When you switch off iCloud Backup, the iPhone will only create backups when it is connected to a Mac or PC and iTunes is available. If you didn’t backup already, we suggest you to create one now. You don’t want to be the one who loses all their precious data because of a malfunction. 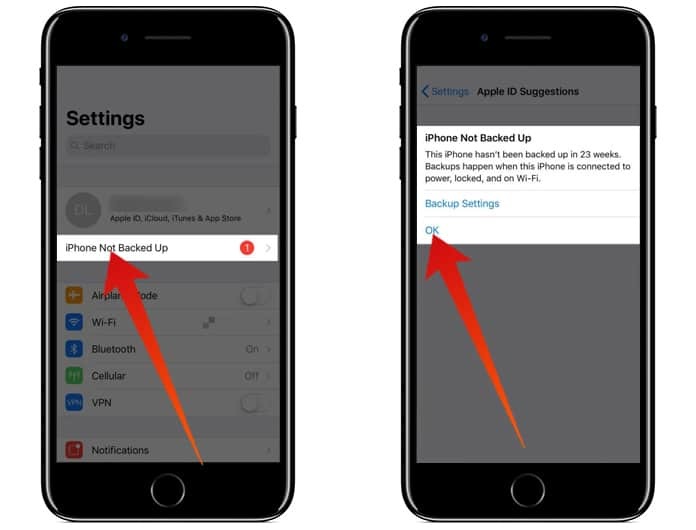 You’ve finally eliminated that irritating “iPhone Not Backed Up” notification and hopefully created a backup for your device as well. We hope you’ll share this article with other iPhone users to help them remove the notification as well. If you have additional questions related to your device, drop us a comment below.